What I saw around me was a huge variety of skin color, from the pasty Irish winter skin to the darkest African blue-black. There weren’t two colors, but thousands. It was one of those cultural inconsistencies that sometimes bother children, but that adults seldom seem to puzzle over. I now recognize that it is as if a linguistic pattern were cast over reality, taking its place, so that we see words and not skin. If they took time to define what they mean, they might have a better chance of making themselves understood. For race isn’t one self-contained category; we mean many things by it, and sometimes contradictory things. It would help if we could tease out some of the strands of the knotty problem. The problem of definition began with the 18th century European obsession with taxonomy. They wanted to name everything. While it had been recognized for millennia that there were distinctive population groups in the world — The Greeks knew their Ethiopians, Shakespeare knew his Othello was a Moor — it is only during the Enlightenment that anyone tried to pin the variations down to uniform categories. Race as a scientific idea began with the Swede Carl Linne, who devised an ingenious system for classifying animals and plants by morphology. He devised a system of phyla, orders, families and genera that worked its way down to species and, occasionally, subspecies. A dog is Canis familiaris, a swamp rose is Rosa palustris. Humans are Homo sapiens. Linne further divided humans into four ”races,” or subspecies, which he named H. sapiens americanus, europaeus, asiaticus and afer. These, he said, were red, White, yellow and Black. He also defined them by personality and culture. H. sapiens europaeus, for instance, ”wears tight-fitting clothes” and is ”nimble, of the keenest mind, innovator.” H. sapiens afer, however, are ”cunning, lazy, careless,” and they ”smear self with fat.” Guess which race Linne considered himself to be. American Indians, by this system, are cheerful and resolute, and Asians are proud and greedy. It should be noted that Linne didn’t get to travel much; it was the 18th century, and what he knew of other peoples was largely peculiar hearsay. 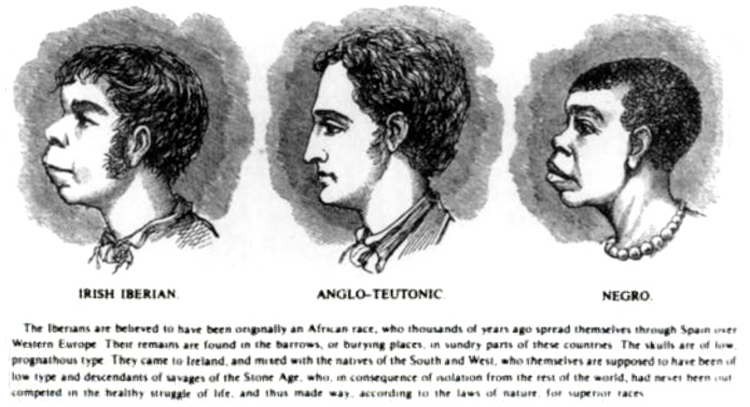 Later biologists narrowed the races to three, eliding the red and yellow races, and they called the three Caucasoid, Mongoloid, and Negroid. Then others, noting the number of population groups that could not easily fit into these three classes — Polynesians, for instance, or Australian aborigines — came up with newer and more distinct races and sub-races. 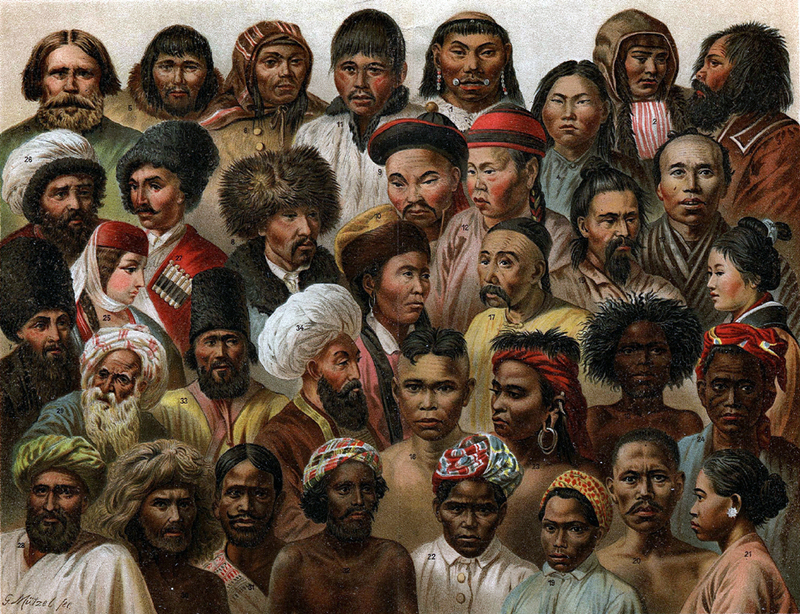 The number proliferated to the point that there were nearly as many races as there were people, and race as a useful scientific classification evaporated. Most scientists now discount the idea of race; you will be hard pressed to find the term used in any modern text. 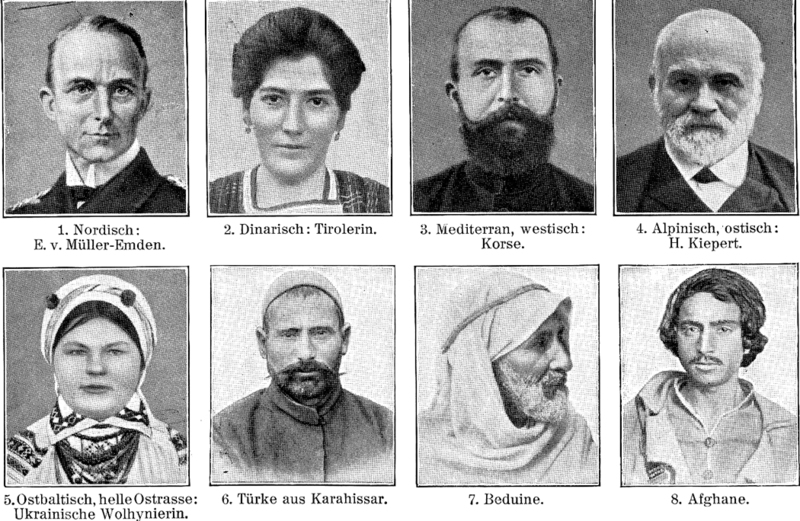 The initial idea was that genetic ”types” exist in regional populations. The problem is that there is more variation between individuals within each group than there is between the groups themselves. Dravidian Caucasoids may very well be darker of skin than Nilotic Negroids. As a biological concept, race was a convenient but misleading shorthand, made nonsense after a deeper look at the facts. And the very distinctions made between populations — skin color, nose shape, resistance to malaria, lactose tolerance, etc. — are not distributed uniformly through the so-called races. The characteristics are likely to be distributed regionally, but the regions are multifarious and overlapping, not monolithic and co-equal. It is a very few people who have all the many characteristics used to define a ”Negroid” or ”Caucasoid.” There are dark-skinned Caucasoids and straight-haired Negroids. It makes even less sense in America, where the variations are no longer regional, and the bloodlines are no longer separate. Yet, the notion of race persists. It is this nation’s most intractable social problem. If it is not biological, what is it? Even before science took over the idea, race was a short word for ”bloodline.” Each family, insofar as it can be distinguished from its neighbors, is the culmination of a race. In Wagner’s version of Germanic myth, for instance, there is the race of Wolsungs, the race of Gibichungs, the race of Niebelungs. I come from a race of Nilsens, although I can only trace it back a handful of generations, and there is no eponymous hero at its source. In this country, with its peculiar history, race most immediately means skin color. Yet the distinction is the least useful. If you took all the peoples of the world and lined them up, not as in an old grammar school photograph, by height, but by skin shade, you would not find any distinct breaks, but a continuous spectrum of color: a wash, not a palette. 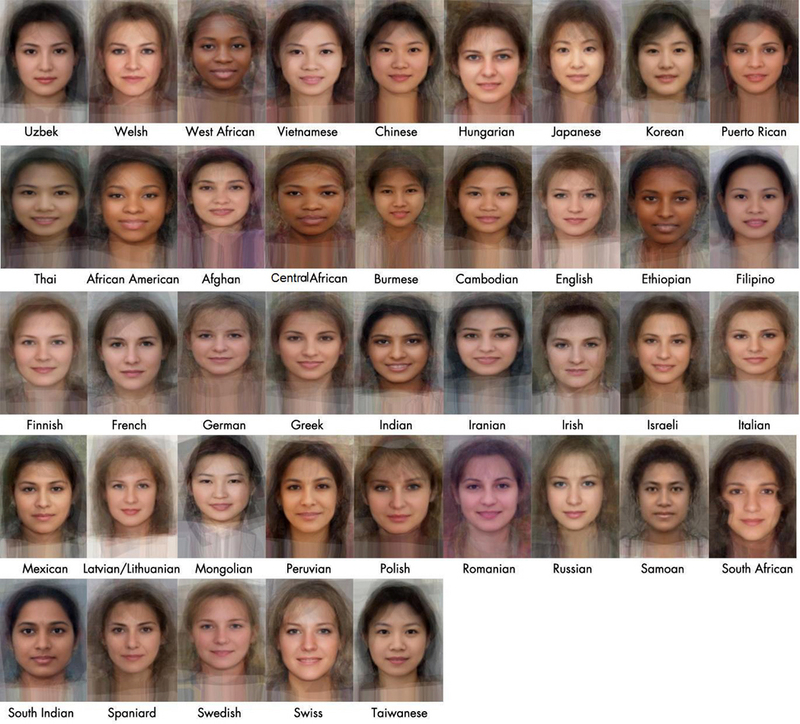 In the U.S., we have an artificial sampling of skin color. It is as if a dollop of red from one end of the spectrum were plopped down square on the blue end. The colors seem distinct and different, but this is a historical accident, not a true picture of racial difference. While skin color is the most obvious racial marker, the most important is culture. People brought here from Africa had a different culture from those who came here from Europe. The cultures have blended together quite a bit, yet it is astonishing how conservative culture is. Cultural forms can be maintained over centuries without anyone really thinking about it. Why does a wooden church in New England so often have the pointed arch of a Gothic stone cathedral? It makes no sense in wood. We enter our jet planes from the left side, just as we mounted our horses. We let our children play with ”choo-choo trains,” despite the fact that their grandparents were likely the last in their race to have ever seen a steam locomotive. When I visited South Africa, I was astonished to find it seemed so much like the North Carolina I had lived in for 20 years. I saw an old Black man in a worn blue suit and no shoes, waiting in front of a wooden store/service station for a ride. He could have been from Hobgood, N.C. I heard a choir of cleaning women singing as they worked, and I recognized in the tone of their voices Ma Rainey and Aretha Franklin. It is often these cultural differences that we use to separate the races in the U.S. — Rap vs. bluegrass; basketball vs. hockey, grape soda vs. root beer. We feel comfortable with our own way of doing things, suspicious of other ways. There is considerable xenophobia in our racial attitudes. Another important facet of what we call race is more accurately called class. The reaction of many well-to-do Whites to poor Blacks is not much different from their reaction to poor Whites. “Trailer trash,” they call them. One remembers that in the 19th century, when there was so much prejudice against Irish working-class immigrants to the U.S., there were attempts to prove that the Irish were little different from African slaves. Poor people are seen to have different work ethics, different hygiene patterns, different cultural ideals. That so many more Blacks than Whites, by percentage, are poor, leads to a bleeding of one attitude into another. Much of what is ascribed to African-Americans by their White neighbors is class consciousness, not simple racism. Both are pernicious, but the two become confused in argument. Then, too, race has become politics. And by politics, I mean power. Political leaders speak as if they mean to ameliorate the problems of society, but the main goal of politics is power, its acquisition and maintenance. Those in power don’t want to give it up, those disenfranchised want to get it. When they can use race, from either side, they will. This is used by both sides: White politicians have a glossary of code words that warn their voters that Blacks will take their jobs and their women. The privileged mean to prevent the dispossessed from getting power. But the Black politician often complains about a Black conservative that he is somehow turning his back on the ”solidarity,” which is needed to gain power. Voter blocks on each side line up to scrimmage at the poll. If a demonstration of the political definition of race were needed, one only has to consider the concept of ”race mixing,” seen in two different contexts. Consider these two political systems and their apportionment of political power. 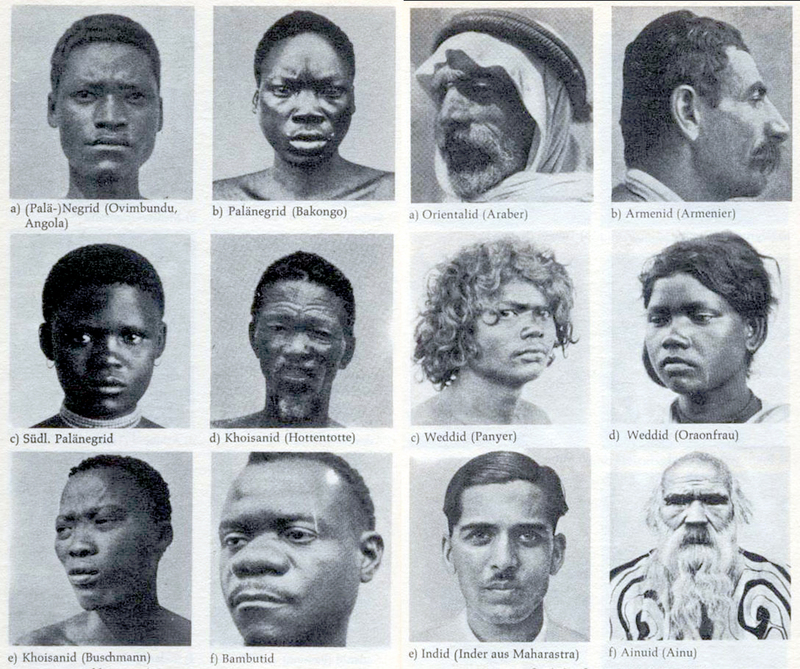 In South Africa under apartheid, the admixture of White blood and Black ”ennobled” and made a new category, ”Colored,” above Black and not far under White and with most of the rights of Whites, whereas in the old U.S., a percentage of Black blood mixed with White ”degraded” and created a Black person and the lack of rights that came with the color. It is an odd system indeed that forces Mariah Carey or Halle Berry into the category, “Black woman.” And how we scratch our heads over the categorization of Tiger Wood. But Black Americans cannot avoid the burden of history. It is brought home to them every day. They cannot forget that they arrived on this continent under protest. They cannot forget that they were once legally less than fully human. They cannot help seeing the vestiges of that past, even when such vestiges are invisible to Whites. What they call ”racism,” is often just the comet-tail of history, still affecting the course of events. There are still more facets of race: linguistic usage, self-image, marketing. In one sense, race has turned from being a caste marker and into a demographic group. So, when we open a dialogue on race, as the president has asked, we need to try to be clear about what we mean, and not address skin color when we mean class, not argue over culture, when it’s politics we are concerned with. I don’t have the solutions to America’s race problems, but I am certain that unless we begin by defining what we mean by race, by beginning with the simplest questions, we will continue to repeat ourselves over and over until we are neither Black nor White, but are merely blue in the face.